What have Capriol been up to in 2014? 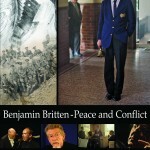 Benjamin Britten – Peace and Conflict on DVD! We’re very pleased to announce that Benjamin Britten – Peace and Conflict is now available on DVD via our website and on Amazon. In Love With Alma Cogan – now available on DVD This delightful romantic comedy drama has charmed audiences from Plymouth to Argyll and can now be yours on own on DVD. 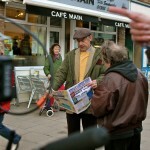 It is available from our website, Amazon or from most high-street retailers. In Love with Alma Cogan recently won an Award of Excellence in the Feature Film category of the 2012 Canada International Film Festival.